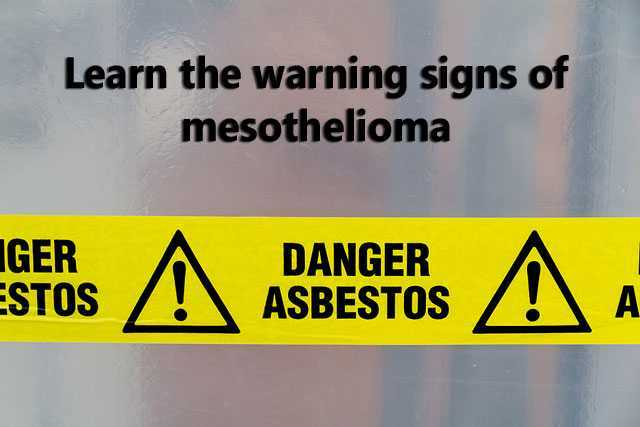 Whether you have a history of working with asbestos, you know someone who does, or you’ve simply seen the legal advertisements on TV, you’ve probably heard of a disease called mesothelioma. And as with most diseases, it can be scary if you don’t understand it and you worry that it might affect you or someone you love. Let’s try to increase our understanding of this serious condition. Here are some common questions you might have about mesothelioma, with answers and sources to help you learn more. Mesothelioma is a type of cancer. More specifically, it is cancer of the mesothelium — tissue that covers many internal organs in the chest and abdomen. The disease often starts with the lungs. Mesothelioma is a relatively rare form of cancer. According to the American Cancer Society, around 3000 new cases are diagnosed in the U.S. every year. The largest risk factor associated with mesothelioma is exposure to asbestos. But according to the Mayo Clinic, other risk factors include exposure to the simian virus 40 (a virus found in monkeys), family history, and radiation exposure. The Mayo Clinic adds to that list by noting that lumps felt in the chest or abdominal area can also be symptoms of mesothelioma. It’s important to note that the symptoms of mesothelioma can show up many years after asbestos exposure. According to the National Institutes of Health (NIH), it can take 30 – 50 years to develop the disease after exposure. According to the American Cancer Society, mesothelioma can be diagnosed using a variety of tests including chest x-rays, CT scans, PET scans, MRIs, blood tests, biopsies, and through the testing of other bodily fluids. If you experience symptoms of the disease and you know you’re in a high risk group, you should discuss your medical history and symptoms with your doctor to figure out the best course of action for diagnosis in your case. No. Mesothelioma itself is not contagious. However, if you live with someone who works with asbestos, you might be at risk. That’s because they can unknowingly bring asbestos fibers home on their clothing or equipment. The only way to “cure” mesothelioma currently is surgical removal. But, according to the Victoria state government in Australia, most cases are so advanced by the time the disease is detected that surgery is not an option. Ideally, the patient will be eligible for surgery to remove the cancerous cells. If that isn’t possible, other treatment options can be pursued to prolong the life of the patient. As with other cancers, common treatments according to the American Lung Association include chemotherapy and radiation therapy. Who is most at risk for mesothelioma? Those most at risk for developing mesothelioma are individuals who have been exposed to asbestos. 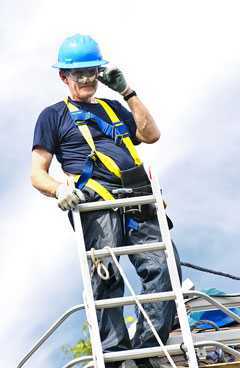 This would include construction workers, demolition professionals, and even firefighters who take part in rescue and recovery operations in buildings where asbestos is present. Due to the length of time it takes for the disease to manifest after exposure, those over the age of 50 can be more likely to be diagnosed. The most important thing you can do to prevent mesothelioma is to limit or eliminate your exposure to asbestos. That can mean replacing insulation in old homes, changing jobs, or using better protective gear when working with the substance. According to the National Cancer Institute, smokers have a greater chance of contracting this form of cancer after asbestos exposure, so another preventative measure would be to stop smoking. Disclaimer: This information is designed to give you an introductory look at mesothelioma. I am not a doctor or any kind of health professional, and this material is provided solely for informational purposes. To learn more about mesothelioma, how it is treated, and how you can prevent the disease, please visit one of the authoritative sources mentioned, and linked to, in the article above.